Playing is a reflection of physical, intellectual, emotional and social abilities and playing is a good medium for learning because by playing children talking, learning to adapt to the environment, doing what can be done and knowing time, distance, and voice. Playing is also an activity where children can perform or practice skills, give expression to thought, be creative, and prepare to play and behave mature. Playing together works in adults, and is the most important aspect of a child's life and is one of the most effective ways to reduce stress in children and is important for the mental and emotional well-being of children. Children play basically so that he gets pleasure, so will not feel bored. Playing is not just a time but a child's need as well as eating, care and love. The main function of play is to stimulate the development of sensory-motor, social development, creativity development, self-awareness development, moral development and play as therapy. The way that can be done is to stimulate the sensory and motor, especially in infants. Stimulation can be tactile, audio and visual. 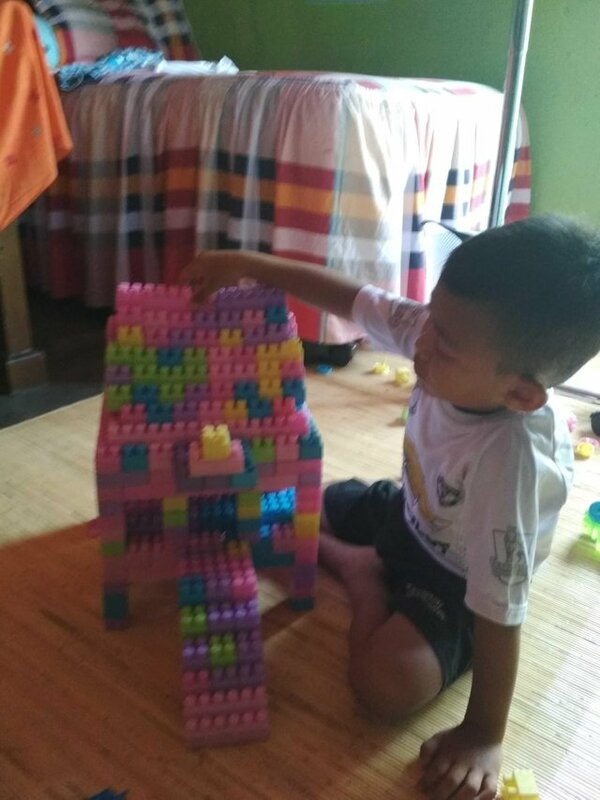 Children who since birth has been introduced or stimulated visualnya then in the future visual skills will be more prominent as more quickly recognize something new he saw. Similarly, hearing, if ever since the baby is introduced or stimulated through the voices of the hearing power in the future faster developing than no stimulation from an early age. Cognitive development can be stimulated through the game. This can be seen when the child is playing. The child will try to communicate with the child's language, able to understand the game objects such as the world of residence, able to distinguish delusion and reality, be able to learn color, understand the shape of the size and the various benefits of objects used in the game. Thus, the function of playing on such models will improve the subsequent cognitive development. The process of socialization can occur through the game. For example at the age of the baby he will feel the pleasure of the presence of others and feel there is a friend of the same world. At the age of toddler children have tried to play with each other and this has begun the process of socializing with each other. At toddler age children often play roles such as pretending to be a teacher, being a child, being a father, being a mother and others. Then at the age of preschool he has started to realize the existence of peers so that children are able to socialize with friends and others. 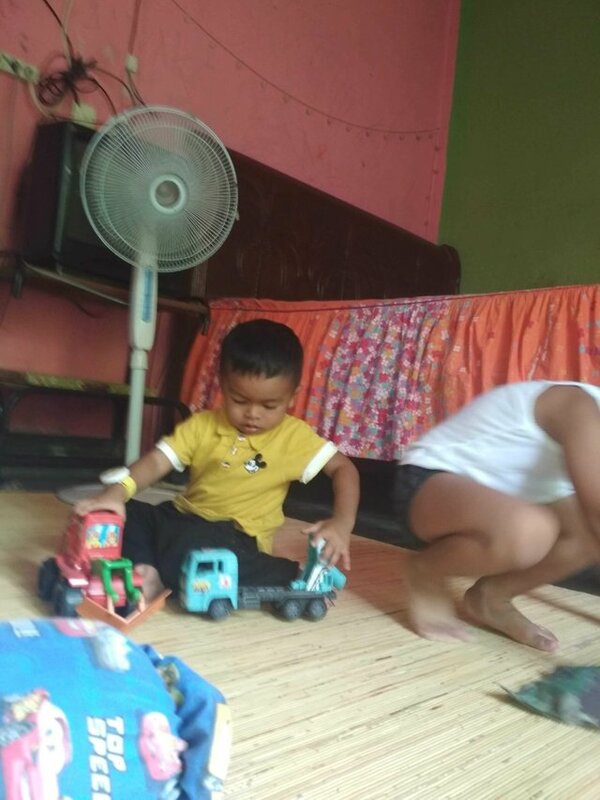 Play can also work in improving creativity, where children begin to learn to create something from existing games and be able to modify objects that will be used in the game so that children will be more creative through this game model, such as playing unloading pairs of cars. Playing in children will give children the ability to explore the body and feel themselves aware of other people who are part of an interconnected individual. Children learn to regulate behavior and compare their behavior with the behavior of others. Playing can make the child more comfortable and comfortable so that stress and tension can be avoided. 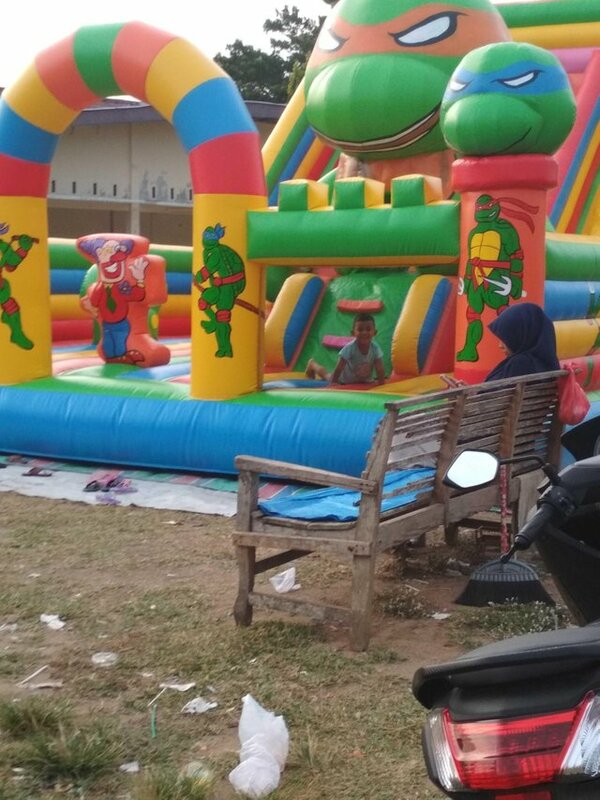 Thus play can entertain the child to his world. Play can also provide a moral value to the child. In certain games such as soccer, children learn right or wrong because in the game there are rules that must be obeyed and should not be violated. If violated, the consequences will be sanctioned. Children also learn right or wrong from the culture at home, at school and when interacting with their friends. In play we recognize some of the playing traits in children, of which are active and passive, such traits will give different types of games. It is said to play actively if the child plays an active role in the game, always provide stimulation and execute it. Passive play occurs when the child responds passively to the game and the environment that responds actively. Seeing it we can get to know all sorts of games in between. The core of this game is a fun interpersonal relationship between children with others. For example, a baby will get pleasure and satisfaction from a pleasant relationship with his or her parents and / or others. Example: playing "cilukba", talking with a smile / laugh, or just give a hand to the baby to hold it. This game uses a tool that can generate a sense of fun in children and is usually exciting. For example: by using sand, the child will make a mountain-mountains or any objects that can be formed with sand. Characteristic of this game is the child will increasingly engrossed in contact with this game tool and with the game that he did so hard to stop. As the name implies, this game improves the skills of children, especially gross motor and fine motor. For example: moving objects from one place to another, and children will be skilled to ride a bike. Thus, these skills are obtained through repetition of the game activities performed. Games and games are a type of game that uses certain tools using calculations or scores. This game can be done by children alone or with friends. Many types of games ranging from the traditional and modern. For example: snake ladder, congklak, puzzle. At times, children are often seen walking back and forth, smiling, laughing, tipping, hunchbacks, playing chairs, tables, or anything around them. So, in fact the child does not play a particular game device, and the situation or objects that surround it are used as a game tool. In accordance with the title, in this game children play the role sabagai others through the game. Children chattering while imitating adults, such as the teacher's mother, her mother, her father, her sister and all that she wants to know. When children play with their friends, there will be a conversation between them about the role of the person they are imitating. This game is important for the process of identifying a child against a particular role. In this type of game, the child is only watching his friends who are playing, without any initiative to participate in the game. So, the child is passive, but there is a process of observation of the game being done his friend. In this game, the child appears to be in a game group, but the child plays on his own with his game tools and the game tools are different from the game tools his friend uses. There is no cooperation or communication with friends like. In this game, children can use the same game tool but between one child with another child does not occur contact each other so that between one child with another child there is no socialization of each other. Usually this game is done by toddler children. In this game there has been communication between one child with another child but not organized, no leader or who lead the game and the game objectives are not clear. Examples of this type of game is to play dolls, play rain-rain, and play cooking. The rules of the game in the group appear more clearly on this type of game is also the goal and the game leader. The child who leads the game organizes and directs its members to act in the game according to the expected goals in the game. For example, in a game of soccer, there are children who lead the game, the rules of the game must be run by the child and they must be able to achieve the common goal of winning the game by entering the ball into the opponent's goal. Child play activities must be in accordance with the stages of growth and development. That is, the game of infant age is no longer effective for the growth and development of school-aged children, as well as vice versa. The game is a means of stimulating the growth and development of children so that the type and tool of the game must also be in accordance with the characteristics of the child for each stage of his age. To perform the activity required energy play. However, it does not mean that children do not need to play when they are sick. The need to play in children is the same as the need for work in adults. 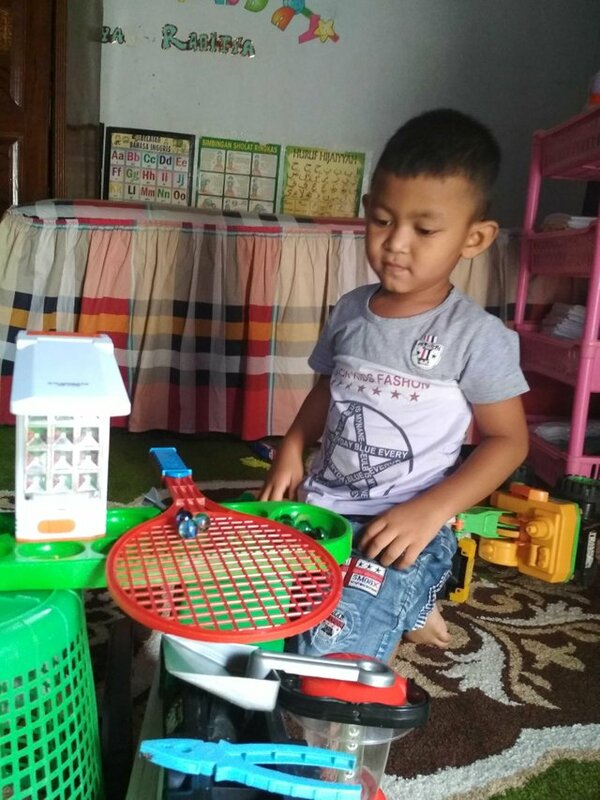 Most importantly when the child's condition is decreasing or the child is sick, even hospitalized, the parents and the nurse must be careful to choose a game that can be done in accordance with the principle of playing principle of the child being hospitalized. There are several views on the concept of gender in relation to children's play. The game is one tool to help identify yourself so that some of the girls' game tools are not recommended for use by boys. 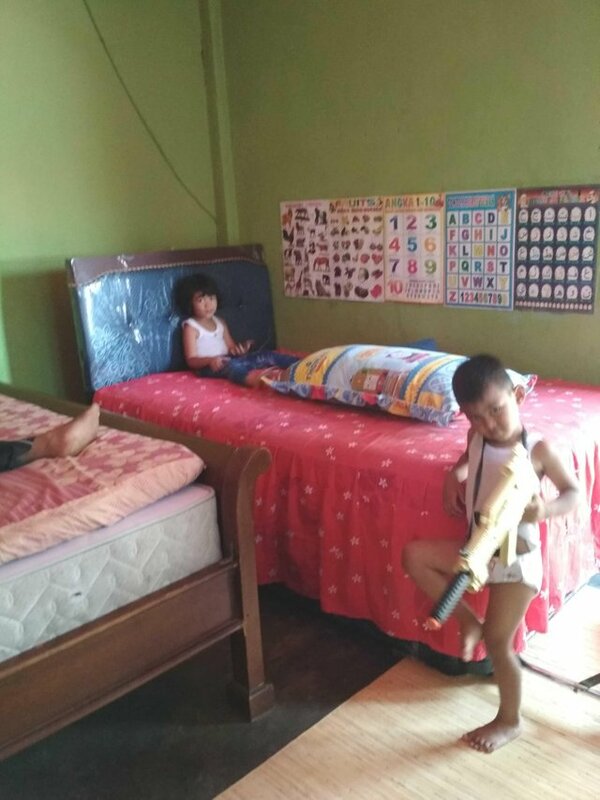 The conducting of good play activities for the development of children one of them is influenced by the moral, cultural, and physical environment of the house. Playing facilities do not always have to be bought in stores or toys so, but preferably that can stimulate the imagination and creativity of children, even often traditional toys made from or derived from objects around the child's life more stimulate children for creativity. Parents should be wise in providing a game tool for children. Choose according to the child's growth stage. The label listed on the toy should be read first before buying it, whether the toy is appropriate for the child's age. Parents and children can choose toys together, but it must be remembered that the game equipment should be safe for the child. Therefore, parents should help children choose safe toys.